The (Tango) Kiss by Ishka Michocka (little Ish). Taken at the Queen's Palace in Charlottenburg, Berlin (summer of 2012). We were first told to get off the grass but afterwards given a 10 minute reprieve by the guard...what fun! 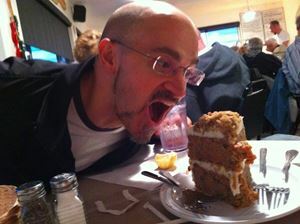 ...the calling for Carrot cake, ummm! Hanging out doing non-tango things! A demo 'moment' somewhere sometime (can you guess)...notice the festival wrist band that Cristina is wearing! 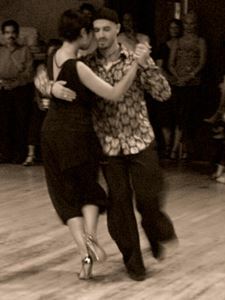 Here's a Huston tango candid taken by our friend Viju during one of our improvised demos! 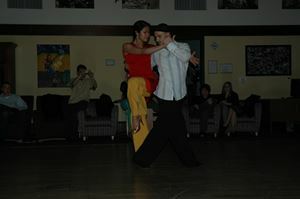 Tango Alchemie 2010...what a fun and beautiful experience! 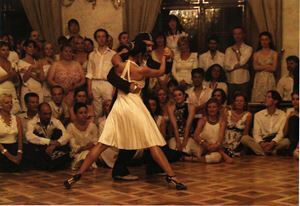 photo shoot for Prague's Tango Alchemie 2012, thanks Ishka and Jenne! 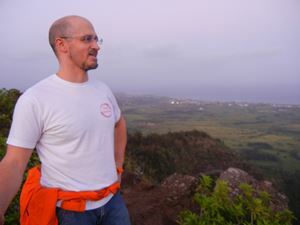 Climbing the Sleeping Giant in Kauai...going back down in the dark (post sunset) was a real adventure! Like the shirt says...it takes two! Peratata, Greece...my mother's village is underneath the giant castle walls!